The Lullaby Trust has a range of publications that provide support and advice. Single copies of our publications are available free of charge or can be downloaded below. 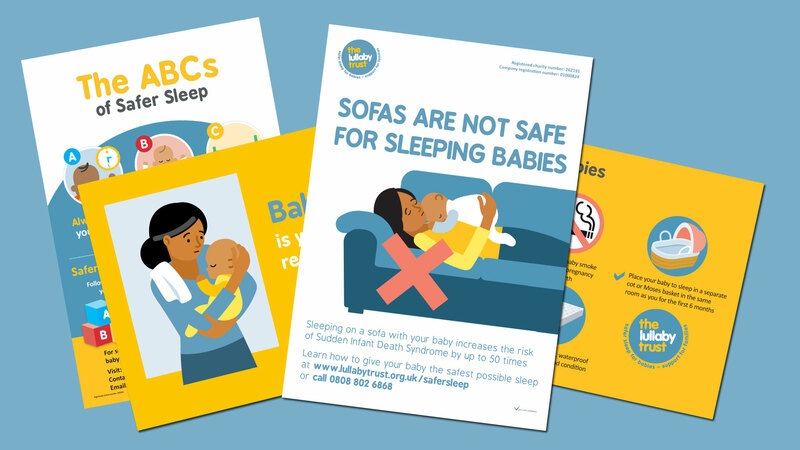 This leaflet provides parents with all the advice on safer sleep and reducing the risk of sudden infant death. Our newly designed safer sleep poster details the ABCs of Safer Sleep. Leaflet written for all professionals working with families with young babies, giving the most up to date advice on safe infant care advice to reduce the risk of sudden infant death. A booklet written in collaboration with Bliss and Tamba featuring safer sleep advice for parents of babies born prematurely or of a low birth weight. Includes additional information for parents of twins, multiples or more. A 2-side card giving key advice for reducing the risk of sudden infant death. An A4 printable poster advertising the free Baby Check smartphone app. Available in portrait and landscape.